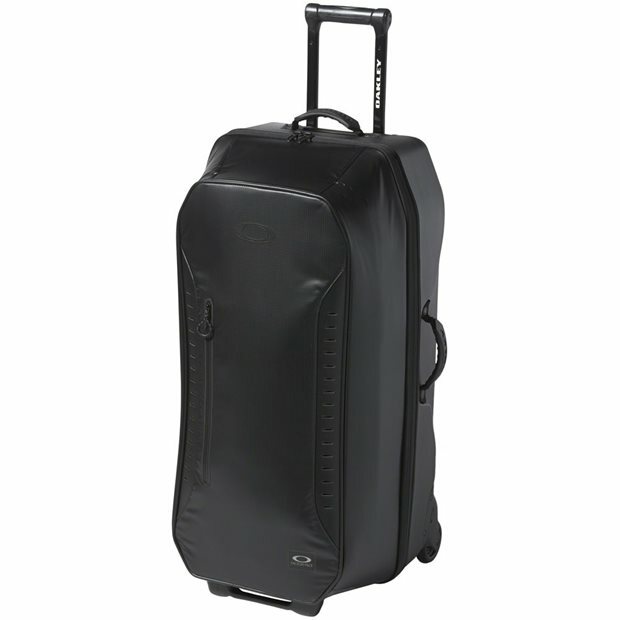 DESCRIPTION The Oakley FP 45L Roller bag is constructed with a hard bottom and durable fabric that is PU coated and Nylon woven to resist tearing and ripping. The bag features a front pocket and a split main opening for easy access. The main compartment is equipped with zip pockets and tie-down straps to secure the items inside. The telescoping handle and rolling wheels allow easy maneuvering. When the bag is not in motion, a front prop allows the bag to stand. When the bag needs to be lifted, the ergonomic hand grips come in handy.